This recipe comes from The Low-FODMAP Cookbook by Dianne Fastenow Benjamin. 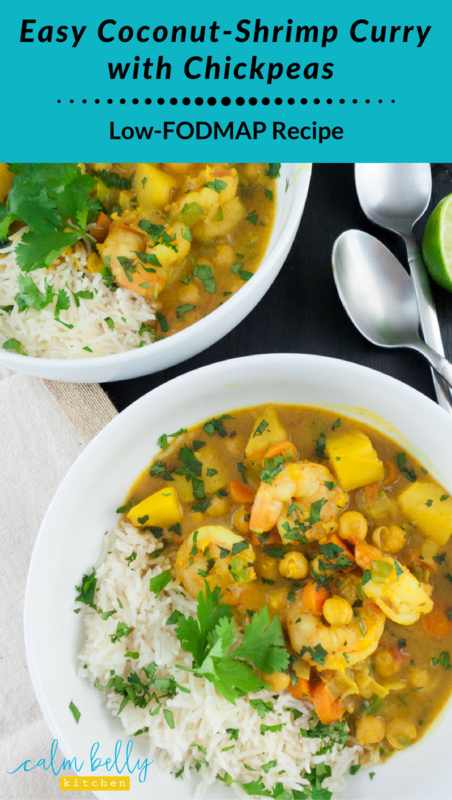 It's a healthy and tasty dish that gets a lot of flavor from just a few simple ingredients. Read on to see what I think of the cookbook and get the recipe! I love that this salmon looks beautiful enough to serve to guests, but it's simple enough to make on a weeknight. The key to this magic is minimal ingredients that pack a lot of flavor. Specifically, maple syrup, soy sauce, and garlic-infused oil. The marinade is so good, my only complaint is that I wanted more of it. I might make extra next time and reserve a bit to drizzle over the finished salmon. If you've ever searched for "FODMAP" on Pinterest, I'm 99.9% sure you've come across Dianne's recipes. 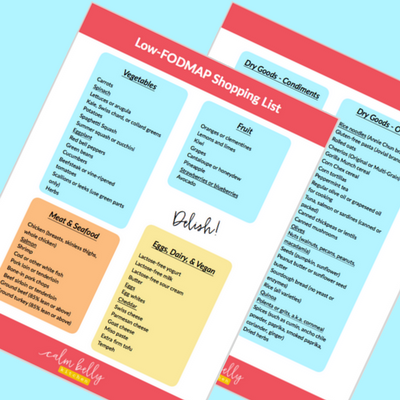 She's been posting low-FODMAP meals on her blog Delicious As It Looks for years. I'm also biased to like whatever Dianne does because she's a pug lover like me! But back to the cookbook. It's a great collection of approachable and tasty recipes. There aren't any hard-to-find ingredients or advanced techniques so it's great for beginner cooks. The recipe sections are: basics, breakfasts, soups, salads and sides, soups, main dishes, and desserts. 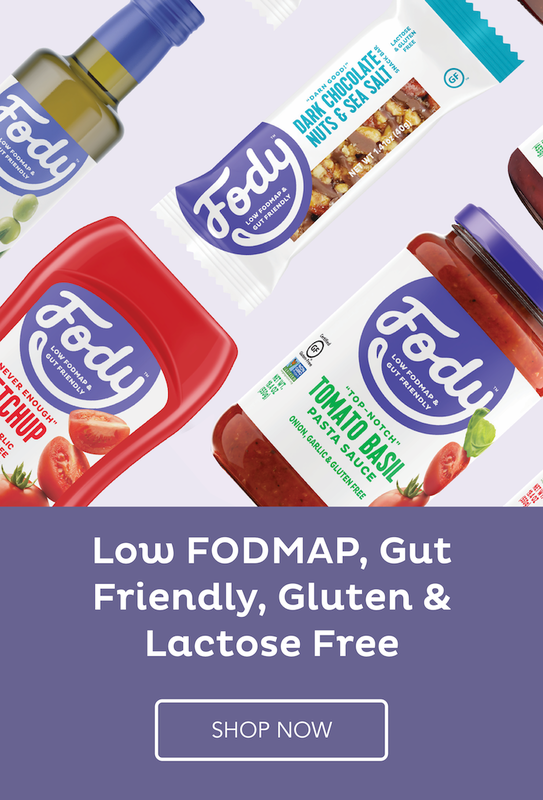 There's also a useful introductory section on navigating the FODMAP diet. 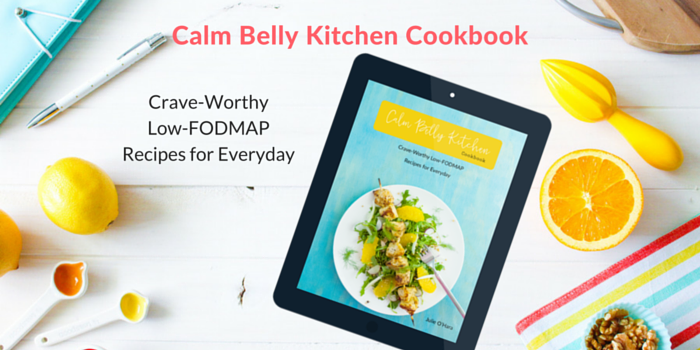 I love seeing new FODMAP cookbooks on the market, and this is a great one if you love unfussy, American favorites. After spending the first part of 2016 writing The Calm Belly Kitchen Cookbook, I love sitting back and testing other people's recipes for change--and Dianne's look fabulous! To make it weeknight-friendly, the recipe calls for instant rice. You could just as easily cook up a pot of rice the traditional way, or make it ahead of time. To garnish, I reserved a few sesame seeds and used fresh pea shoots...totally optional but cute! 1. In a medium bowl, whisk together the garlic oil, maple syrup, soy sauce and black pepper. Place salmon fillets in a large zip top bag and add garlic-maple mixture. Toss to coat and refrigerate for 2 to 4 hours. 2. Preheat oven to 400F. Line a large, rimmed baking sheet with foil and mist with cooking spray. Place salmon on baking sheet and drizzle a bit of the marinade over the top. Bake until salmon is opaque in thickest part and reaches 145F on an instant read thermometer, 12 to 18 minutes, depending on thickness. 3. Meanwhile, bring the water and salt to a boil in a large saucepan. Stir in rice and return to boiling. Reduce heat to low, cover, and simmer for 5 minutes. Remove from heat and rest, covered, 5 minutes more. 4. Mist a large nonstick skillet with cooking spray and heat to medium-high. Add spinach and cook until wilted. Reduce heat to low and add rice, sesame seeds and sesame oil (If your skillet is too small to fit all the rice, add the spinach to the saucepan with the rice instead). Toss gently to coat. Divide rice among 4 plates and top with salmon. Garnish with scallions and serve.